Fabric pilling is the term for loose strands or balls of fiber that form on a piece of fabric. You’ve probably noticed these little bits of fabric on pillows, rugs, and furniture in your home. Pilling is a common occurrence in most households. It’s not a fabric defect or fault from the manufacturer. And it’s easily treatable at home. At La-Z-Boy Home Furnishings & Décor, we help thousands of customers furnish their homes each year. We’ve noticed many people have concerns about fabric pilling and keeping their furniture looking brand new. They want to know what fabric pilling is, why it occurs, and the best methods for treating and preventing it. In this article, we take an in-depth look at what causes fabric pilling along with what you can do to treat and prevent it. When fabric fibers become loose, they move around when we sit or brush up against them. The friction from people rubbing up against the fabric causes loose fibers to twist together into small balls. Your laundry machine also causes friction. This is why you’ll see fabric pills on towels, t-shirts, and sweaters. Pilling is completely normal and will go away once the excess loose fibers are gone. It doesn’t affect the durability or functionality of the fabric. Plus, it’s easily removable with a pill shaver. A battery-operated pill shaver is the quickest and cheapest way to treat pills. The Conair Fabric Defuzzer is on Amazon and has 4.5 stars with over 5,000 customer reviews. 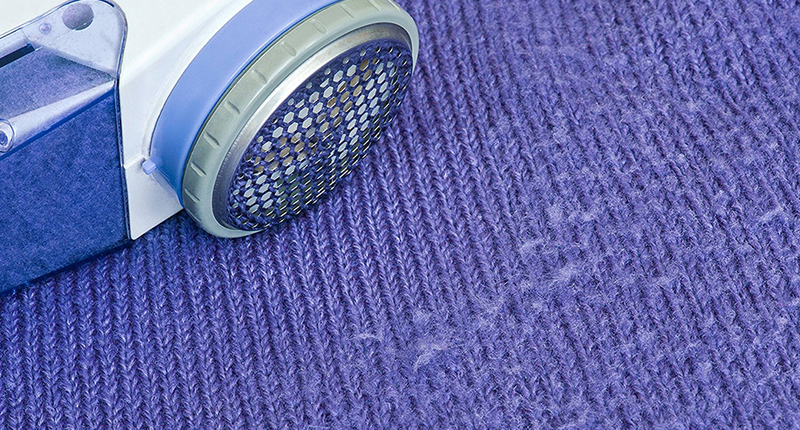 The Conair Fabric Defuzzer quickly and evenly shaves unwanted fuzz, lint, and pilling. It’s easy-to-use, runs on two AA batteries, and adjusts to accommodate different fabric types. You can also use a pumice stone pill remover or pill comb to manually brush away fabric pills. Pilling may reappear several times. When it does, simply shave it off again. Your fabric will stop pilling after all of the loose fibers have been removed. As you read other reviews on Amazon, you’ll notice most people had similar experiences removing their fuzz, lint, and pilling. All fabrics will pill to some extent. However, some are less likely to pill. Smooth, tightly woven fabrics are the least likely to pill. This is because the fibers are held together tightly inside the cloth. Fabrics made with more than one fiber type are the most likely to pill. When one fiber is stronger than the other, the weaker fiber becomes loose while the stronger fiber holds the pills to the fabric. Natural fabrics shed loose fibers easier than man-made fabrics. Man-made fabrics are extremely tight and strong so loose fibers are secured to the fabric. Natural fabrics are not as tight, so loose fibers can easily escape from the fabric without pilling. Man-made fabrics are typically built for performance. But they will pill more than natural fabrics. So, is fabric pilling preventable? Not really. However, if your furniture develops fabric pills you have no reason to be alarmed because it’s easily treatable with a pill shaver. Fabric pilling shouldn’t be your primary concern when picking out upholstery because it happens on all fabrics. You can easily remove fabric pilling with a battery-operated pill shaver, pumice stone pill remover, or pill comb. This will keep your furniture looking fresh and brand new. 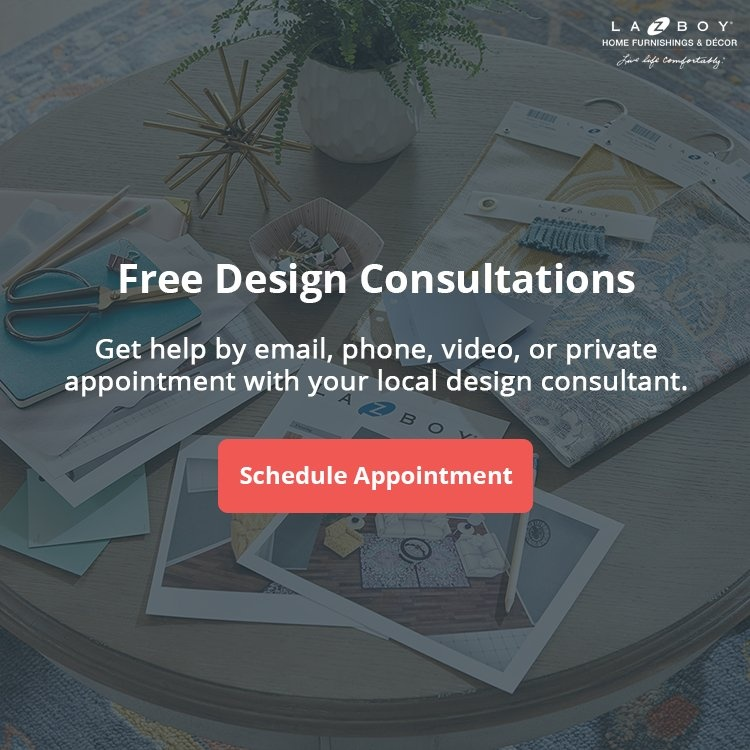 Does La-Z-Boy Really Offer Free In-Home Design Services? At La-Z-Boy Southeast, we can answer all of your questions about fabric pilling and show you how to treat it when it happens. We would be happy to guide you through the process of furnishing your home at any of our locations in GA, NC, or SC.